Be the first to hear about their new releases and deals. Download the Booksprout app and search for Josie Malone today! Josie Malone lives and works at her family business, a riding stable in Washington State. Teaching kids to ride and know about horses since 1967, she finds in many cases, she's taught three generations of families. Her life experiences span adventures from dealing cards in a casino, attending graduate school to get her Masters in Teaching degree, being a substitute teacher, and serving in the Army Reserve - all leading to her second career as a published author. 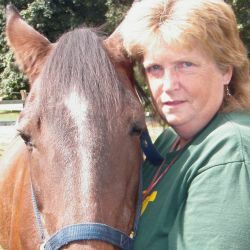 Visit her at her website, www.josiemalone.com to learn about her books.